Did you see those ugly stains on your roof? 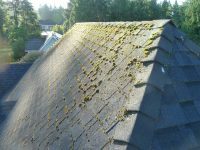 They are actually mold, algae, lichen, bacteria, mildew, fungus or moss that grows on your roof shingles, particularly in shaded wet areas due to moisture and little direct sunlight. 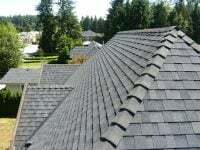 They dramatically reduce the lifespan of your roof. 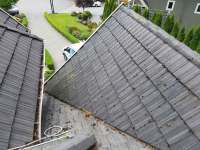 It means that you may end up replacing your roof long before you expected. 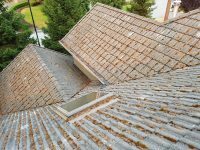 Replacing a roof is a very expensive and troublesome process. 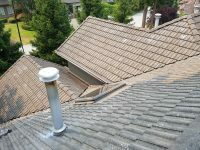 Proper roof treatment and maintenance not only saves you thousands of dollars but prolongs the life of your roof shingles for a fraction of that cost. 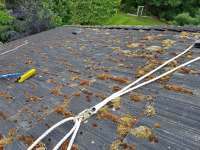 The cleaning products that we use to clean roofs are eco-friendly non-hazardous. They are effective as well as safe for your landscaping, children and pets. 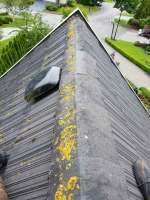 They kill all the growth on your roof and prevent their further buildup. 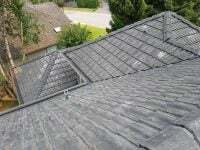 We use a low pressure softwash process for roof cleaning. It gently cleans dirt buildup, moss, algae and bacteria. 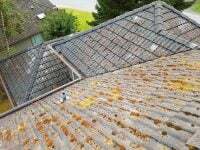 The softwash approach allows to effectively treat your roof without the damages associated with pressure washing.